Bespoke chats with Luigi Bergamo, founder and designer behind Q36.5, the newest clothing brand with big ambitions for the future of cycle clothing. Bespoke is proud to be stocking a range of Q36.5 clothing so we headed over to Italy to find out just what sets the brand apart. 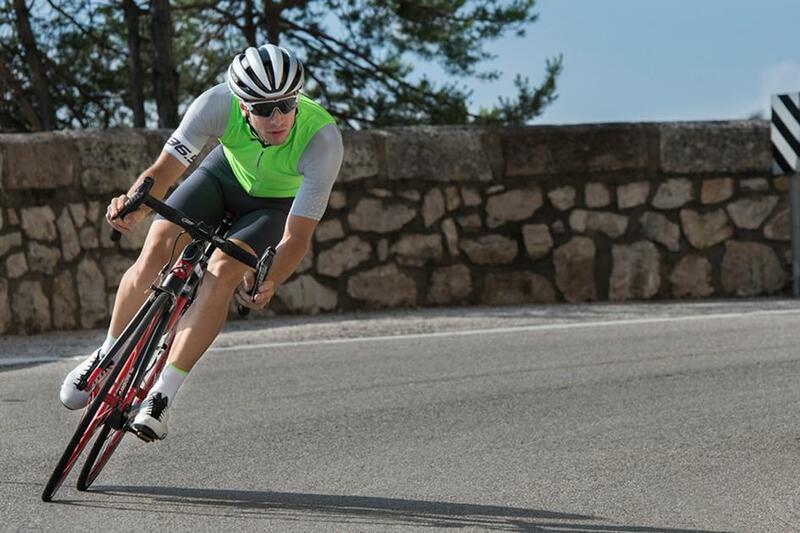 Founded in 2013, Q36.5 has big ambitions for the future of high-performance cycle clothing. Designed and manufactured entirely in and around Bolzano in northern Italy, in the shadow of the Dolomites, Q36.5 is a small and young outfit spearheaded by Luigi Bergamo, the former director of development at that most well-known of all clothing brands, Assos. Deciding to part ways with Assos and move from Switzerland (where Assos is headquartered) back to his hometown of Bolzano in northern Italy, the passion to create high-performance cycle clothing drove Luigi Bergamo to establish his own brand. But it is a brand with a clear difference, a concept brand with an ambitious vision to create the absolute best high-performance cycle clothing possible. is for riders who can feel the difference. Absolutely equipment." That text above is printed on a sheet of paper taped to one of the pillars in the sleek and modern office located on the outskirts of town in a quiet residential area. It's the founding philosophy set out by Luigi Bergamo and acts as a constant reminder to the small team - currently eight employees - that manage every aspect of the company, from design, research, product testing, sales and distribution. innovative solutions to enable him to produce high-performance cycle clothingthat can meet the demands of riding in a range of temperatures and climates. Luigi Bergamo, then, is on a quest to pursue new and innovative solutions that don't currently exist in the cycle clothing market, and this means developing proprietary fabrics and construction processes that allow him to achieve the highest level of performance possible. In many ways, Q36.5 is very much a research and development laboratory to allow him to explore these solutions free from the restraints of putting out a new collection every season. By now you're probably wondering what the name Q36.5 stands for? Q is Quaerere, Latin for research, and 36.5 is the body temperature in Celsius and is a reference to Luigi Bergamo's desire to create clothing that can help to keep the body at the perfect temperature at all times. Q36.5 has only been going for a few years but a lot of time, money and effort has clearly been invested as the clothing range is of the highest quality. We'll take a look at the clothing range in detail in a future article, but for now here's our conversation with Luigi Bergamo. What is the aim of Q36.5 and what are you trying to achieve? The aim is to make not really a clothing company but to make more a laboratory where I can experiment with new solutions and bring these new solutions, new fabrics, new patterns, to this brand, Q36.5. With my vision and to express my vision, we decide that this is an extreme vision of the future of cycling clothing. 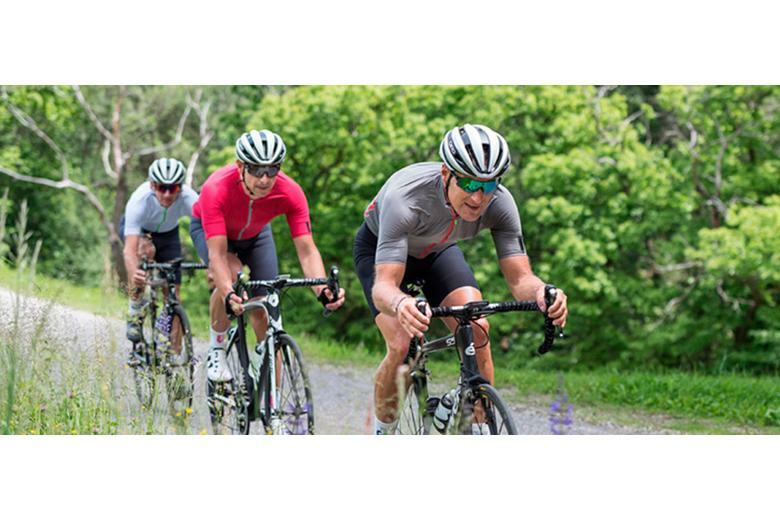 The name of the brand, Q36.5, is related to the body temperature of a healthy person, because the real objective of performance cycle clothing, whether for cycling, running, cross-country, is to maintain your body temperature. Not to be cooler or more warm, but in order to have the best performance is to have this temperature. That means we have to develop specific fabrics, smart fabrics that react with your body. We see some fabrics that are in development that are not passive but active with some special yarn or thread. And very important is the structure, how you structure the fabric that can give you a different performance in combination with a different yarn. You've worked in the cycle clothing business for a long time, what are the biggest developments you've seen? When I started to ride the bike it was the wool period, the romantic period, but I hate this wool fabric because I was 5kg heavier than what I wanted to be! Then we have the revolution with the synthetic fabrics, and we have a very big evolution. What I see now is the fabrics or the garments become lighter and lighter. I remember the first polyester jersey was made from 200g/square metre fabric, and right now we speak about 100g/square metre fabric, you have more or less the same performance in terms of quick drying, protection too. Then we have the second revolution, the introduction of the membrane in the fabrics in order to have a more protection from the cold, that was a huge revolution. From my point of view another important thing was the dedication to the first layer, the base layer. We have a fantastic solution with a seamless technology, because the first layer is the contact, the link, with your body and needs to manage your micro climate. Right now the tendency is for DWR treatment, the water repellency on the garment, because cycling becomes more popular and we have less time and want to use the bike in all conditions. You need to have extra protection, starting from the jersey or the bibs, having this treatment is very helpful in difficult conditions. We were one of the pioneers of woven fabric in shorts and in jersey too, with a special technique that we can have a very high density of the construction of this fabric that gives a very robust, lightweight, compressive and supportive fabric. We are working to create an ergogenic bib short that we introduce this year that is not just an ergonomic cut, but is designed in order to have more muscle support, or have the right support in the muscle area where you need to be more supported, like the lumbar area and for the leg area. For example we have a gradual compression with a special cutting, we orientate the cut to use the modal force of the fabric which helps when you're pedaling. It's tricky but it helps. Is developing your own fabrics, and not using readily available fabrics, critical to achieving your goals? Yes. We developed our own fabric because we were not satisfied with catalogue fabrics and so to have a better performance, from moisture management to natural wind protection without a membrane, we didn't find a standard solution and we need to do deep in development in order to develop a specific fabric for this reason. I can say that 70-80% of the fabric we're using in the collection is our own. What sets your brand apart from other clothing brands? We are not able to compete with the big companies. We are a very small, compactcompany but our skill is that we invest a lot in research and development. We're involved in different R&D projects, not just for cycling but other fields like ultra running, skiing etc and we can profit from this experience. Right now we are a company of just eight people, and we have in-house all the pattern makers and the lab where we can try different solutions, and we have a great cooperation with clothing companies in other fields, and some research institutes like the University in Italy and Austria too, and the institute of research here in Bolzano too. We can say we study a lot, and invest a lot of time in the research that maybe is not so target driven but where we can learn something and we can improve our knowledge, then we bring this knowledge to the collection. We would like our brand to be a compact collection, we don't want to be too big but we would like this expression of our study of what we learn and our vision. Is being made in Italy important? Would it be cheaper to manufacturer in China? For sure yes, but for us it was important to make all the clothing in Italy because we can assure of the quality control and the production process. We don't use common or traditional production processes, it's a little more complicated because we start with the development of the fabrics, then we make all the prototypes and conduct all the testing in-house, then we have our cutting department, our printing department, and then we have our sewing department. This is related to the sustainability of the product. In cycling the sustainability of clothing is not so common, maybe it's more popular in the outdoor field, but as a company we have a responsibility to be sustainable where we can. Everything is produced within a 300 square kilometre area so we have less footprint for our process. And we select companies that have a sustainable approach, with special attention in the production process that is environmentally conscious. This is part of our sustainability approach. It's something people care more about. We would like to remain quite small. We need to grow, we hope to grow, but we would like to be a little bit unique and to be flexible. We would like to keep our range as compact as possible, and my dream for the future is to create one garment that you can use all year. But it's more a dream, maybe it's not possible? But to keep the range compact is a key aim. We'll preview some of the clothing range experienced on a ride around Bolzano with Luigi Bergamo.